As the world leader in rodent control technology, Motomco is uniquely positioned to be the single source for all the rodent control needs of there customers. 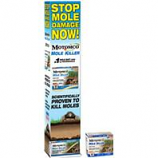 Motomco offers the most "complete" line of rodent control products available anywhere - rodent baits, bait stations, mechanical traps and adhesive traps. Motomco is the only fully integrated rodent control manufacturer in the United States. They have complete research and development facilities, biological labs and state-of-the-art equipment to manufacture ALL of our own products - from start to finish. 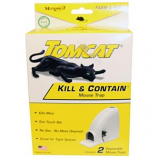 • Place Glue Board Every 8 To 12 Feet For Mice, Between Their Feeding and Nesting Areas. • Kills Rats and Mice In 4-6 Days. • For Organic Production. Can Be Used Indoors Or Out. • Mold and Moisture Resistant. • Kills Anticoagulant Resistant Norway Rats. Note: This product is restricted to NC, NY. • Kills Moles. Effective Against Most Common Mole Species. • Grub Formula Mimics A Mole S Natural Food Source. • Box Contains 4 Placements- 2 Grubs Per Placement. • Gravity Feed Mole Killer. 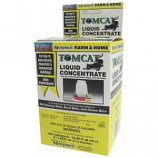 Effective liquid bait for the control of norway rats roof rats and house mice. Exceptional control of rodents under dry conditions. For use in agricultural industrial and commercial buildings. Made in the usa. . Rough cut edges increase acceptance by satisfying a rodent's desire to gnaw. Made with Diphacinone the #1 selling active ingredient in farm and home stores. . . .